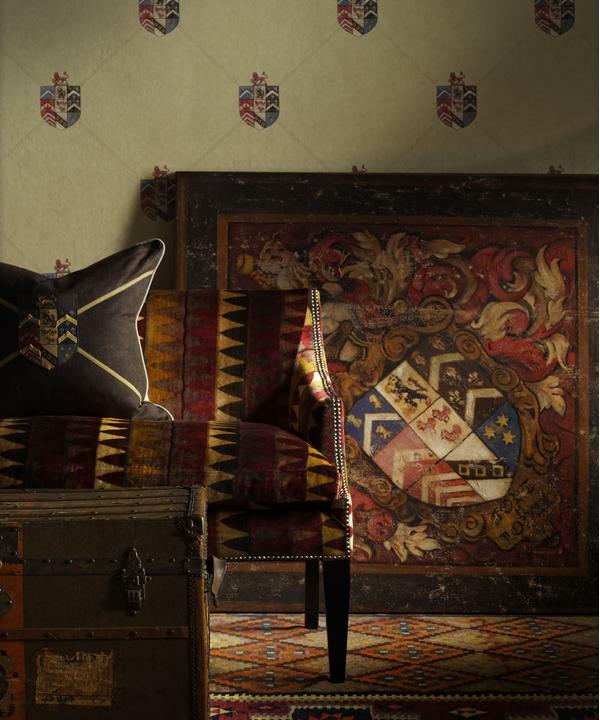 A classic Andrew Martin heraldic crest with overlaid embroidery and appliquéd detail in 100% cotton. 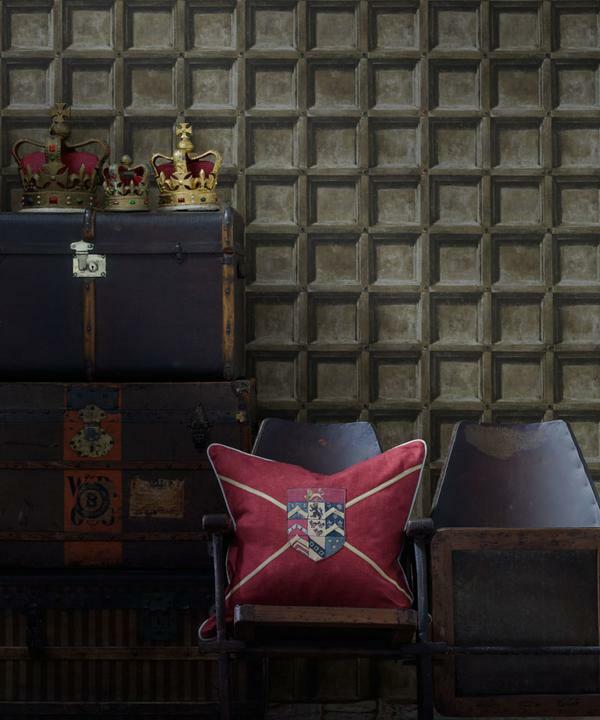 This cushion layout is sold in vertical repeats of 1m which gives 6 individual crest panels. 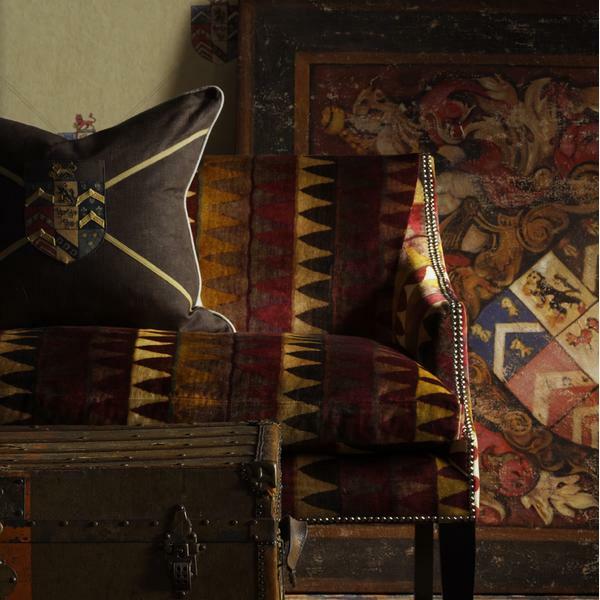 Please note that this design is hand embroidered to achieve a vintage look, it may contain slight irregularities which is a natural characteristic of this design. 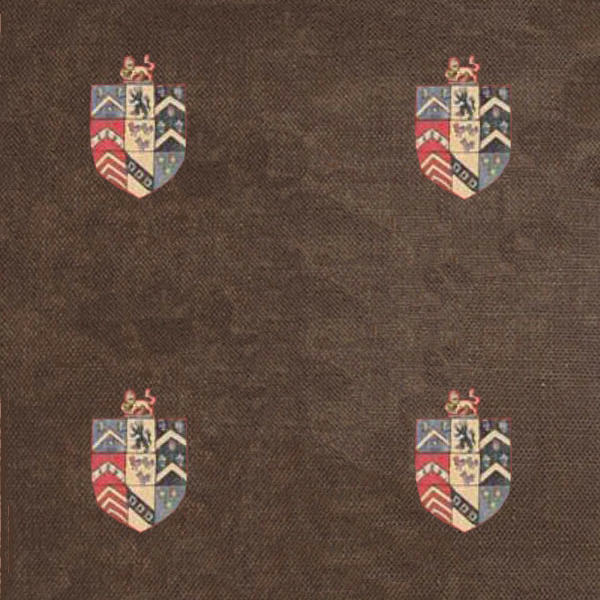 Ancestor displays a coat of arms motif which remembers the historical aristocracy of the Medieval Times. 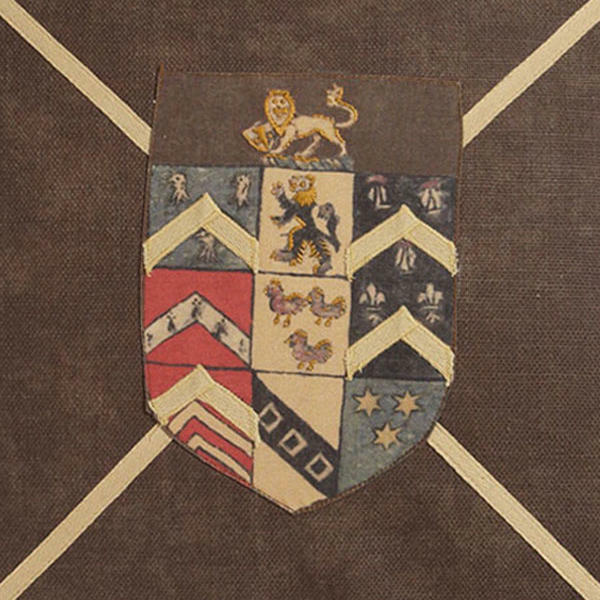 Traditionally, each generation had to slightly modify the coat of arms of their forbearers to signify a new generation. Women also had to incorporate a unique distinguisher from the main family design.